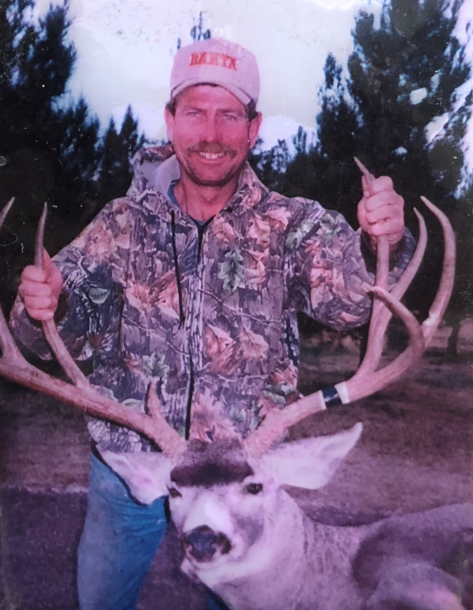 Sterling Clay Williams, age 59, of Loving, NM passed away Thursday, October 18, 2018 at his home in Loving, NM. Sterling was born on December 8, 1958 in Carlsbad, NM to the late Steven Frank Williams, Jr. and Leila Margaret Nymeyer Williams. He married his long-time friend, Karen Barnes Williams on January 3, 2014. Sterling was a successful welder, oilfield pumper and construction contractor, but his greatest love was for farming. He had a passion for hunting, fishing, trapping and nature. Sterling was preceded in death by his father and mother: Frankie and Margaret Williams; his son, Rodney Clay Williams Peters and stepson, James Brandon Bounds. Sterling is survived by his wife, Karen Williams of Loving, NM; son, Brice Williams of Springfield, MO; daughter, Kelsey Williams Berry and husband, Kevin of Lebanon, MO; stepson, Jesse Bounds of Carlsbad, NM. He has two grandchildren: Gabriel and Sophia of Lebanon, MO. He is also survived by brother, Stanley Williams of Loving, NM, brother, Steve Williams and wife, Karen of Red Oak, Texas; sister, Sondra Williams Ellyson and husband, Dirk of Lavernia, Texas; sister, Sonya Williams Barron and husband, Mike of Gatesville, Texas and many nieces, nephews, cousins, aunts, uncles and dear friends.